I cheer you up when someone or something hurts you. You're satisfied by the way treat you. I'm there for you through thick and thin. Even when you're down, sometimes I'm there all year round. What am I? 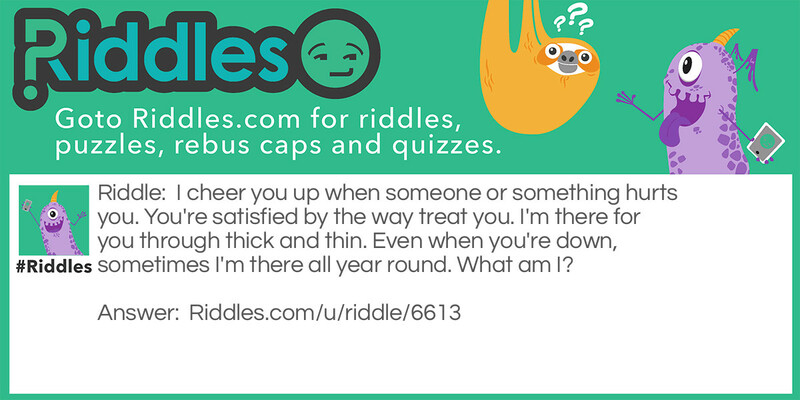 Cheering up Riddle Meme with riddle and answer page link.